A frivolous adventure helmed by a writer and director both known for much better films, Year of the Comet (1992) is a lightweight romantic romp that's saddled with at least one too many plot lines and cliché-ridden characters. Our story follows young wine enthusiast Margaret Harwood (Penelope Ann Miller), who discovers an extremely valuable bottle of wine that's more than 150 years old during a routine appraisal. Not surprisingly, there are other interested parties including a French scientist (who's after it for different reasons) and a thug who's just in it for the money (Nick Brimble). On the other end of the spectrum is dashing Oliver Plexico (Timothy Daly), who helps Margaret retrieve and hold on to her valuable find but doesn't seem to care about its significance or worth. What he does end up caring for is Margaret, though she isn't quite as willing to return his arrogant advances. It should be obvious, even to first time viewers, that Year of the Comet badly wants to capture the spark and magic of earlier, better films like How to Steal a Million, Charade, Romancing the Stone, The Princess Bride (also written by Goldman), and at least a half-dozen others. And, in some respects, it maintains this facade at times: the lead performances by Penelope Ann Miller and Tim Daly are mostly charming (even though their characters are entirely unoriginal), while the beautiful location footage of London, the Scottish highlands, and the French Riviera at least offer a scenic atmosphere on the surface. Without question, the film looks easy to get lost in. 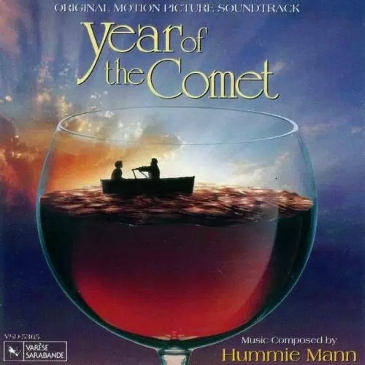 Sadly, Year of the Comet shoots itself in the foot with no shortage of goofy plot elements, not the least of which is the entire arc of French scientist Philippe (Louis Jourdan, in his last film appearance): his ridiculous motivation of securing his own fountain of youth via a top-secret formula leads to at least one out-of-place torture sequence, several pacing derailments, and a baffling climactic showdown with our heroes that, quite honestly, must be seen to truly understand the meaning of "tone deaf". Plexico's "jack of all trades" swagger feels like nothing more than a convenient way to quicken the film's pace (the man literally has everything but a strong back), while the final revelation of his true identity is more eye-rolling than a pleasant surprise. Eliminating some of this baggage, and perhaps using the extra screen time to round out our lead and supporting characters a bit more, would have at least helped Year of the Comet feel like more than a cheap knock-off that, unlike fine wine, hasn't aged very well. Still, as misguided and ludicrous as the fluffy Year of the Comet ends up being at times, the movie does have a certain "weekend afternoon" charm that may appeal to those who don't mind romantic adventures with extra cheese. Released barely a year after MGM's lackluster Limited Edition DVD (take that, die-hard fans! ), Twilight Time's new Blu-ray showcases Year of the Comet's scenery and Hummie Mann's soundtrack with an outstanding A/V presentation; everything else about this disc, like the main feature itself, isn't nearly as memorable. Barely a year old, MGM's 2016 Limited Edition DVD of Year of the Comet (its Region 1 debut on a digital format) was lackluster, which makes Twilight Time's Blu-ray seem much more impressive in direct comparison. This 1080p transfer was obviously sourced from better source material, as it's much cleaner with more consistent texture, better colors, and stronger contrast from start to finish. Image detail, film grain, and black levels are also much improved overall, rounding out the visual presentation nicely. The disc is also encoded well with no flagrant digital issues (compression artifacts, excessive DNR, etc. ), serving up a pleasing film-like presentation that's unquestionably the best Year of the Comet has looked on home video. Although the quick arrival of this Blu-ray may irk die-hard fans who already shelled out for the MGM disc, I'm sure they're still happy to have a better option available now. DISCLAIMER: The promotional stills featured in this review are strictly decorative and do not represent the title under review. The audio is presented in DTS-HD Master Audio 2.0, which replicates Year of the Comet's original two-channel mix perfectly well. Dialogue and background effects are balanced well and rarely fight for attention. As this is a largely a dialogue-driven film, there's not a great deal of activity or depth during most stretches but what's here perfectly fine with no apparent defects or obvious source damage along the way. 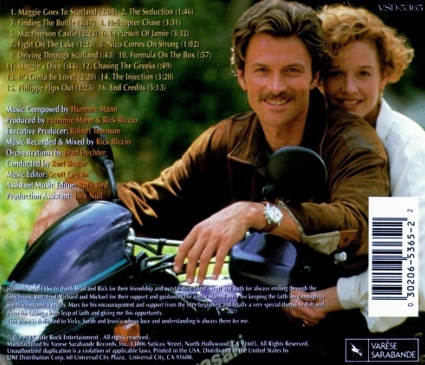 Optional English subtitles have been included during the main feature, as well as a separate lossless Isolated Music Track (likewise presented in DTS-HD Master Audio 2.0) that showcases Hummie Mann's original score, as seen above in CD form. The interface is plain but perfectly functional, with quick loading time and the bare minimum of pre-menu distractions. This one-disc release arrives in a clear keepcase with poster-themed artwork and a short Booklet featuring production stills, promotional artwork, and a brand new essay penned by Julie Kirgo. Aside from the isolated music track, bonus features are limited to the film's Theatrical Trailer (2 minutes)---not surprising, but still unfortunate. Year of the Comet wants to be a fun and breezy romantic adventure film, but falls short of anything close to Charade or even Romancing the Stone. 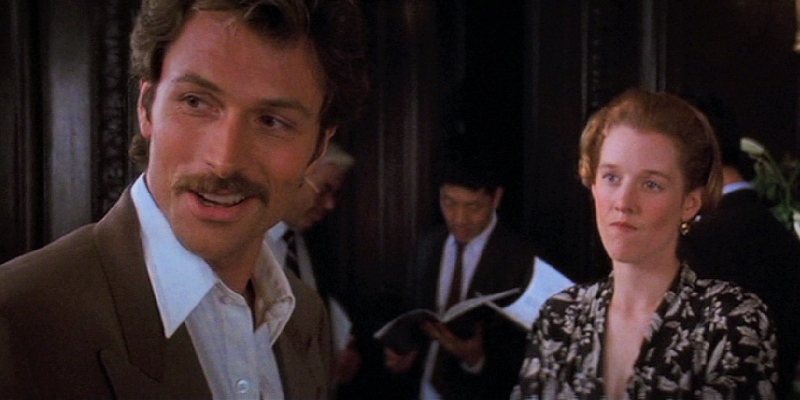 It's got charming leads in Penelope Ann Miller and Tim Daly, great locations, a decent soundtrack...and, well, that's about it, as the story is saddled with excess baggage, lazy shortcuts, and tone-deaf direction that prevents it from reaching even modest heights. Still, those more forgiving of the film's obvious flaws will appreciate Twilight Time's Blu-ray, which provides a clear A/V upgrade over MGM's recent Limited Edition DVD. Still, the limited appeal and high price tag doesn't exactly make this a solid blind buy. Rent It.